The Single Sign-On authentication (SSO) market is incredibly hot. Over the last half decade, SSO has become the most sought-after category in the broader identity and access management market. The demand for SSO corresponds to the rise in web applications. Older markets, such as on-premise directory services, have not been as innovative as they move to the cloud. Yet, they’ve recently garnered a high level of interest, one that rivals the SSO market, due to the need for a centralized user management solution. What’s more, a new category called Directory-as-a-Service (DaaS), a cloud-based user directory, is emerging as the next leading solution, because DaaS focuses on the broader concept of True SSO. When the concept of Single Sign-On was first emerging, it made sense. Simply put, SSO offered a single login to a network’s whole infrastructure. Of course, the IT network was more simple at that time. Microsoft Windows was virtually the exclusive platform, and everything was hosted behind the firewall. This meant that Microsoft Active Directory (AD) and the domain controller could rule the identity and access control for the organization. The user would simply log in to their device, which would then communicate with the domain controller and AD to provide the user with access to whatever they were entitled to access. Fast forward to the early 2000s when web applications were starting to take off, and you’ll see that IT admins began adding web SSO solutions alongside their on-premises directory. Then and true today, the web SSO platforms integrated with the on-premise directory in order to federate identities to web applications. Initially, this approach worked well, but it started to break down as organizations shifted more of their infrastructure to the cloud. Over the last few years, three major issues in tech have emerged. The first was a fundamental shift to cloud infrastructure. Amazon Web Services (AWS) and Google Compute Engine made it much easier for IT organizations to outsource their data centers. Meaning, servers were no longer hosted on-premise and were most likely not Windows anymore. The second issue was the proliferation of platforms. Once the dominant choice, Windows slipped to being only 1 out of 5 devices in an organization. Mac, Linux, and mobile platforms started to make significant inroads. Microsoft Active Directory no longer controlled a majority of the device infrastructure. The third issue was that rejection of on-premise hardware and software. Essentially, the directory wasn’t welcome any longer at the home office. As a result of tech advancement and the migration to the cloud, a fundamental shift happened for user authentication. SSO authentication had some catching up to do. Which brings us to the present day. Now in demand is a True SSO solution, one that allows users to log in to all of their IT resources, including systems, cloud and on-premise applications, and the WiFi network. As well, tight integration with Google Apps is a must since more than six million organizations are leveraging it. Modern Identity-as-a-Service platforms, such as Directory-as-a-Service, are taking the leap to provide a next-generation approach to Single Sign-On authentication. No longer will Single Sign-On apply only to web applications; rather, SSO will be synonymous with accessing virtually all IT resources. 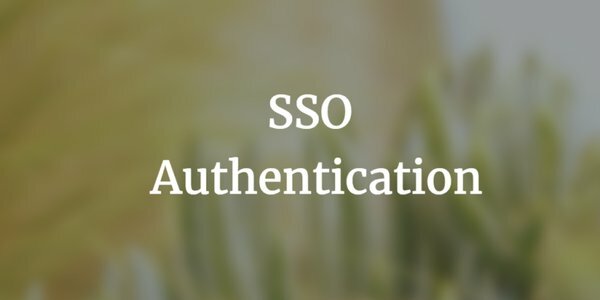 To learn more about how your organization can take advantage of a comprehensive SSO authentication solution, drop us a note. Or give Directory-as-a-Service a try. Your first 10 users are free forever.